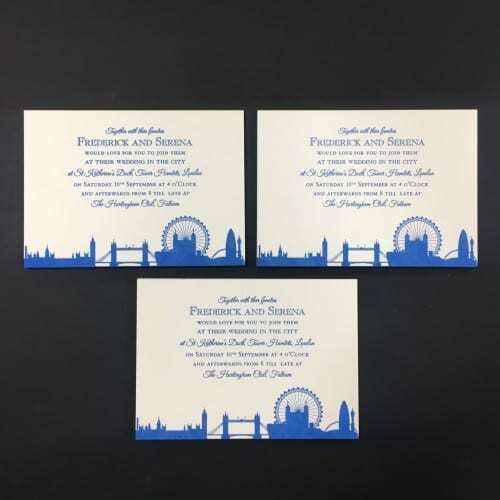 This is our own take on the quintessentially British invitation. A copper plate is hand engraved by one of our skilled artisans before it is placed into one of our Waite & Saville die-stamping presses. 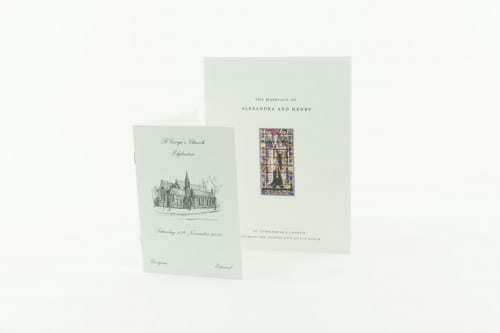 Each card is hand fed in to the press, which prints and embosses the text at the same time. 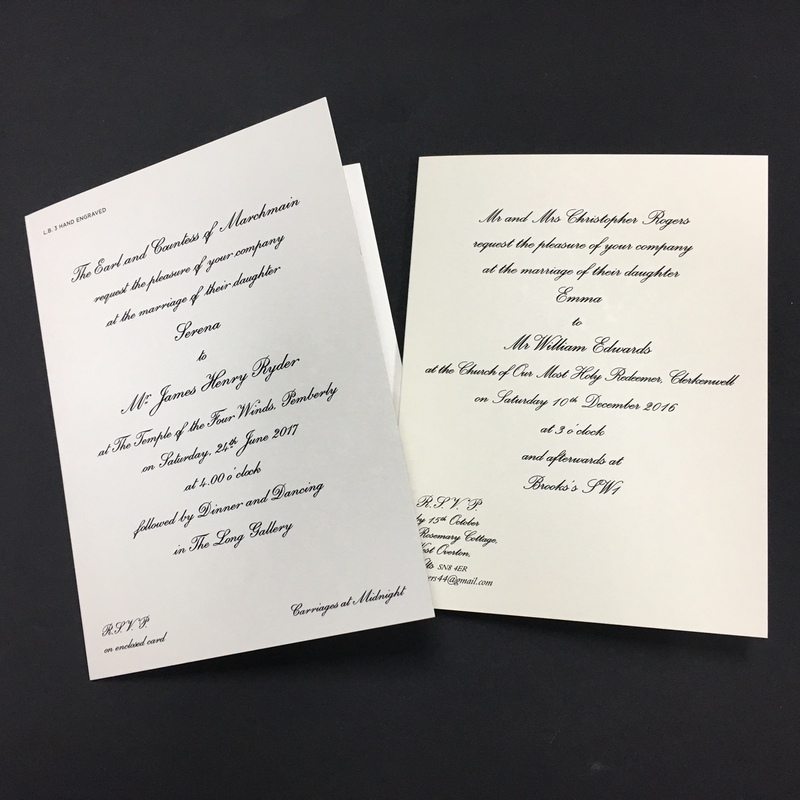 The result is a beautiful invitation, with quality second to none. 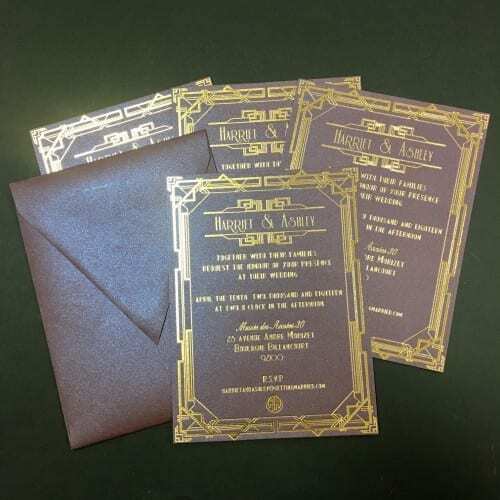 Once the printing is complete, the hand engraved copper plate is polished and can be returned to you as a keepsake, or can be mounted in a frame for an extra special reminder of the craftsmanship that went into producing your wedding stationery. 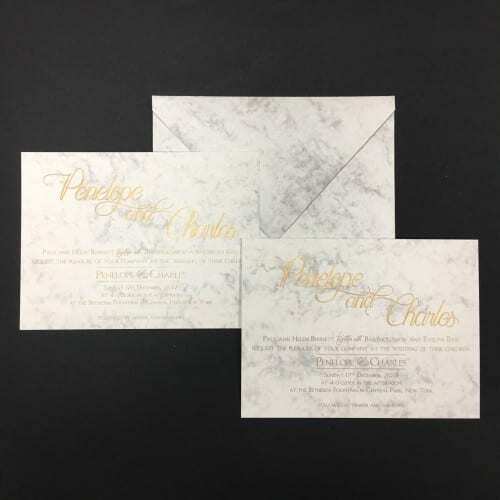 This invitation is supplied with our 155gsm ivory envelopes.